The doctors at Bothell Pet Hospital will often recommend a procedure that involves anesthesia. It may be a spay, a mass removal, dental evaluation/cleaning, or major surgery. These all require that the pet undergoes general anesthesia. While there are potential risks, current advances in technology and knowledge enable us to provide a safer anesthetic experience. In this article, I hope to allay some of these fears. General anesthesia is a complex endeavor. All the steps are directed towards safety, pain control, and minimization of complications. So let me take you through it step-by-step. First of all, a physical exam is performed to detect any abnormalities that may require us to make adjustments to our standard protocols. Next we evaluate bloodwork: this gives us an idea of how the body organs are functioning, and how they may process the drugs we administer. For example, in a cat with chronic kidney disease, we may deliver intravenous fluids before and after the procedure. Or if there is liver compromise, we will be careful with the use of drugs metabolized by that organ. Once we are comfortable that our patient is okay to proceed, we typically give a premedication. Most commonly we use hydromorphone, a narcotic related to morphine. Its purpose is to provide analgesia, as well as to use lesser amounts of drugs intraoperatively. Additionally, we sometimes add in a sedative. We adapt our protocols to the individual. Next, we place an intravenous catheter. For this we need to clip a small area over a vein, usually in a front leg, so the site can be sterilely prepped. The catheter allows to administer the next stage of anesthesia, enables us to run fluids throughout the procedure, and provides a means of immediate access for emergency drugs if needed. The pet is then given a short-acting IV drug, which “puts them under.” We are then able to intubate, or place a flexible tube down into the trachea. The tube is connected to the anesthesia machine and isoflurane, an inhalant, and oxygen are delivered directly to the patient. All patients are connected to a sophisticated machine that enables us to monitor multiple parameters throughout the procedure. ECG leads are attached to the body, thus providing us with continuous tracings of the heart beat and rate. A pulse oximeter clip is applied to the tongue—this device tells us if there is appropriate oxygenation of the blood. A blood pressure cuff is used on one of the legs and gives intermittent readings. As the pet exhales, a capnometer measures the amount of carbon dioxide in each breath. A warm water heating pad is placed over the patient to maintain body temperature. So what do all of these numbers and graphs do for us? Well, they tell us how the body is reacting to the anesthesia and the medical procedure, which allows us to make appropriate adjustments. If the heart rate is slow, we may lower the amount of isoflurane or administer atropine to bring it back to normal. If the blood pressure is low, we can increase the amount of intravenous fluids. If the carbon dioxide is too high, we may use the anesthesia machine to give additional breaths to the patient. Once the procedure is completed, the isoflurane is turned off and the pet is allowed to breathe pure oxygen for a while, then the tube is disconnected. Gradually, the pet regains consciousness. After it is able to swallow, the endotracheal tube is removed. The recovery is closely monitored. We evaluate for pain, administering analgesics as indicted. We ensure that the body temperature quickly returns to normal. If the pet is acting overly anxious, we may give a drug to counteract that. We often hear that advanced age of a pet causes additional worry for the owner. There is no such thing as being “too old,” we just need to find the appropriate combination of anesthetic agents. And of course, there are times when the risks of anesthesia do outweigh the benefits. The bottom line is… if you are concerned about your pet undergoing anesthesia, just ask. We will be very honest with you and discuss any risks. Do you have a dog with arthritis? If you do, or even if you have a dog that just seems to be “slowing down,” you are going to love the news we have about a new medication available! The veterinary world is very excited about a brand-new class of medication that has been developed to treat osteoarthritis in dogs, called Galliprant. NSAIDs (non-steroidal anti-inflammatory drugs) have long been a first line medication for relieving pain and inflammation. Many of you have used these medications, such as carprofen (Rimadyl), or Metacam. These medications work in a similar fashion to our common human NSAIDs, like ibuprofen, Aleve and our older NSAID, aspirin. Before we had NSAIDs, our best anti-inflammatories were steroids. Although steroids still play an important role in medicine, they are not ideal for treating most joint pain and inflammation, simply due to their side effects. Although NSAIDs have fewer side effects than steroids, they can still have potential undesirable effects. The most common side effects are gastrointestinal (vomiting, diarrhea and possibly ulcers) and renal (kidney damage due to decreased blood flow to the kidneys). In developing a new medication, the challenge was to create a product that alleviated the problem without having any other side effects. Research focused on finding a more specific target for a drug, so that it would have all of the positive effects against inflammation and pain, with none of the negative effects. 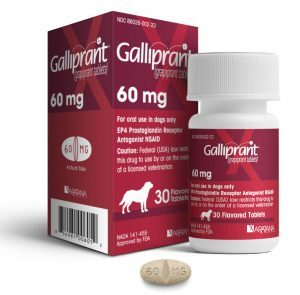 Enter Galliprant, a new medication recently released in the United States for dogs only that looks quite promising in targeting pain and inflammation, without affecting the GI tract and kidneys. Galliprant, or grapiprant, is available in a once-daily tablet form for dogs as young as nine months old. Safety studies showed no significant negative health impact—even when given at 15 times the recommended dose for nine months. The most common side effect noted was vomiting, but it was mild and short-lived and did not affect appetite or overall demeanor of the dog. Soft stool was another noted side effect. Galliprant will begin to work shortly after it is given, but signs/symptoms continue to improve for four weeks after the first daily dose. Currently, Galliprant is not labeled for use with NSAIDs or steroids. If you are interested in trying it for your dog that is currently on an NSAID, such as carprofen or Metacam, we will discuss a “wash-out” period where we discontinue the NSAID for 3-7 days before beginning Galliprant. If another pain medication is needed, we can prescribe something to help your dog through this period. Because Galliprant is able to better target pain and inflammation associated with osteoarthritis, without having the typical negative side effects of NSAIDs, this may be an ideal anti-inflammatory for dogs that do not tolerate NSAIDs well, or for those with kidney disease. We are excited that Galliprant shows such great promise for treating joint pain! Please give us a call if you would like to discuss Galliprant as a treatment option for your dog! Since 2004, Bothell Pet Hospital has been participating in a guided preceptorship program with Washington State University’s School of Veterinary Medicine, in which we host 4th year veterinary students for one month, so they can get a taste for how things operate in the “real world” outside of academia. As one of only 5 participating clinics in the Seattle area, we are quite honored to be part of this program. We would like to thank our clients who have met our students for welcoming them and helping them to further their education. What Does a Preceptorship with Bothell Pet Hospital Entail? 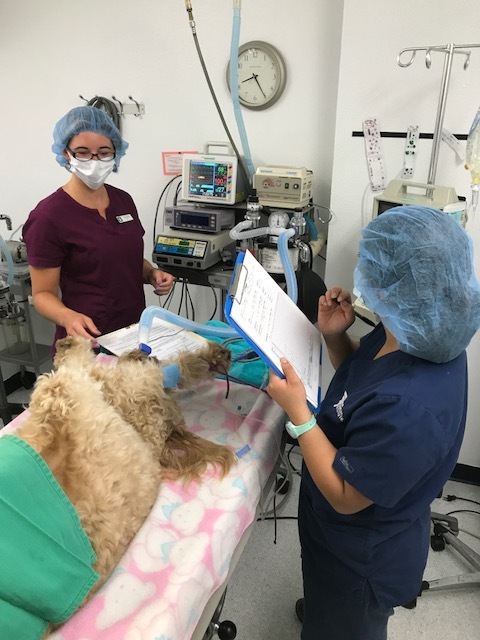 WSU veterinary students accompany our doctors into patient appointments, scrub in and assist with surgeries, come up with proposed treatment plans, and discuss these plans with the practicing veterinarian. Kristy is looking forward to graduating from veterinary school this May and starting her career as a veterinarian. The Guided Preceptorship Program is a structured program, which serves to instruct professional veterinary students in private practice situations under the direct supervision of one or more practicing veterinarians. The Guided Preceptorship Program at WSU follows the guidelines established by the 1991 AVMA House of Delegates. WSU students are required to complete the four credit (4 week) guided preceptorship experience. Each private practice participating in the Guided Preceptorship Program has met requirements established by the WSU CVM, and a practitioner in each preceptorship practice has been appointed as an adjunct faculty member of the CVM. Responsible for grading the student upon the completion of the 4 weeks, that person has responsibility for overseeing the 4-week experience and providing guidance and constructive criticism. 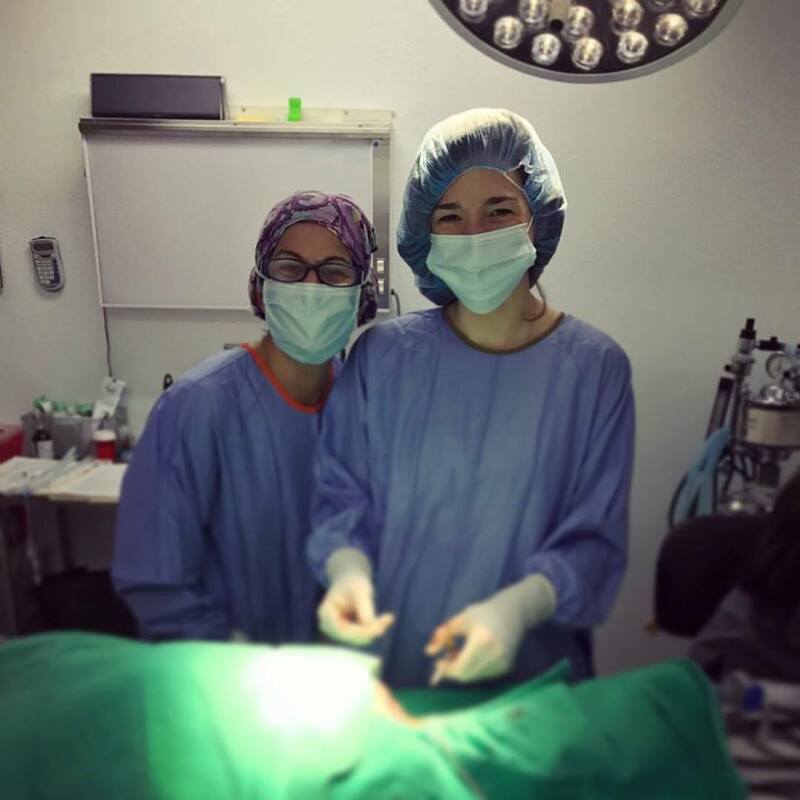 Practitioners in the program are keenly interested in participating in the education of DVM students and strive to make the experience as worthwhile as possible. Students should view this as an opportunity to test their veterinary skills in a private practice situation. Through positive, active participation by students and practitioners, everyone benefits from the experience. However, poor performance or attitude can result in a failing grade. Since the Guided Preceptorship Program is a required course, failure will result in dismissal from the DVM program just as failure in any of the other required courses would. While we try to emphasize the importance of pet dental health throughout the year, February gives us an opportunity to highlight specific aspects of dental assessment, treatment and preventative care. Good oral health is more than just a pretty smile. Poor dental hygiene can put your pet’s health at risk. Did you know that 85% of pets have periodontal disease by age 3? “Dog breath”—or a cat with a foul-smelling mouth—can be a sign of dental conditions. 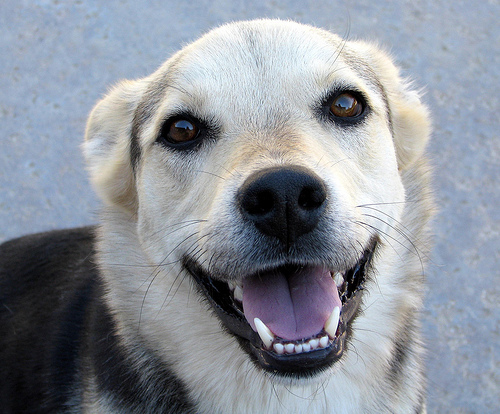 If left untreated, you may put your pet at risk for greater problems such as periodontitis or heart disease. Home dental care and routine cleanings can help prevent periodontal disease. 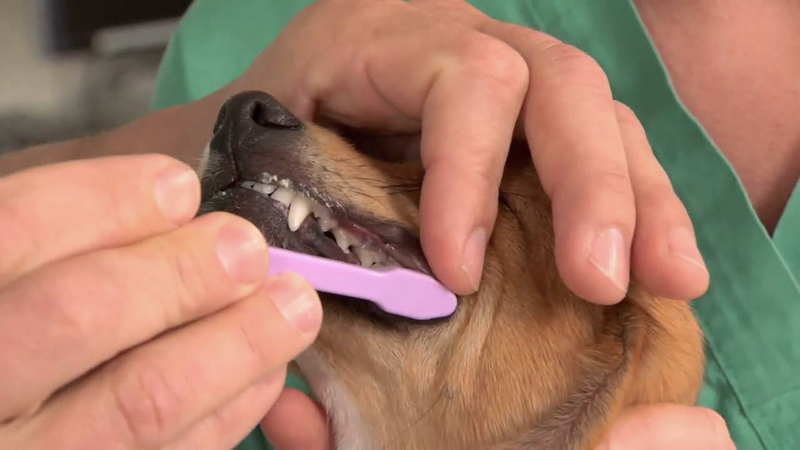 Brushing is the single most effective thing you can do to help keep your pet’s teeth healthy. Ask us for tips on how to brush your pet’s teeth and other suggestions for preventative oral health care. Additionally, a complete oral examination can detect hidden health problems. Even if your pet’s breath smells fine, there could still be dental conditions and oral pain that are hard to detect without a complete veterinary exam or dental radiographs. As an example, I will briefly share the story of my own dog, Hokulani, a 12-year-old Cavalier King Charles Spaniel (our daily office resident whom many of you have met on your visits here). I adopted Hoku at 6 years of age. 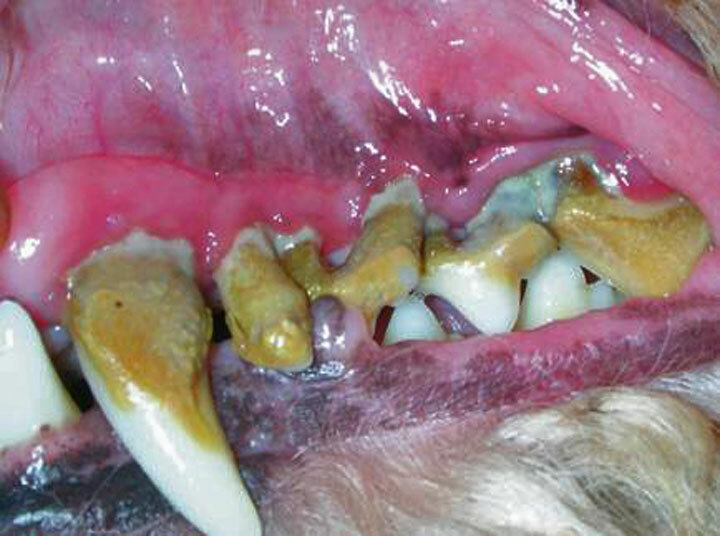 As a small breed dog that had not received previous oral health care, not surprisingly, she had irreversible periodontitis. 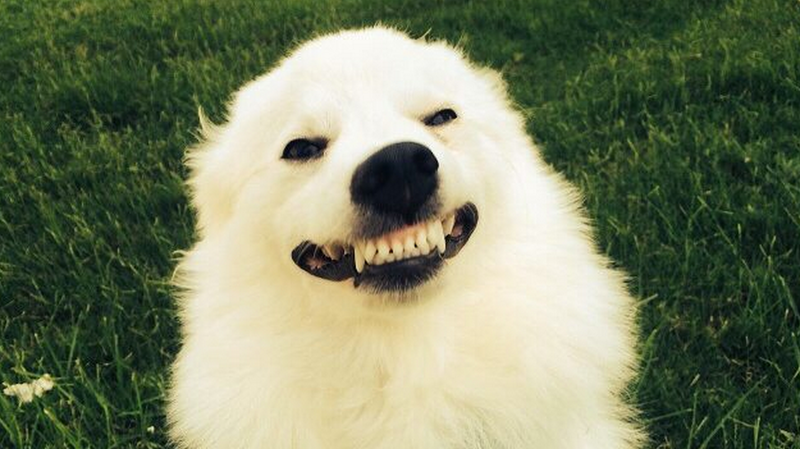 Since then, Hoku has had multiple dental cleanings and teeth extractions over the years. We know that most dental disease occurs beneath the gum line and that a thorough dental assessment and cleaning in our patients require anesthesia. Additionally, dental radiography is invaluable and reveals dental disease of tooth roots and the jaw that cannot be detected otherwise. 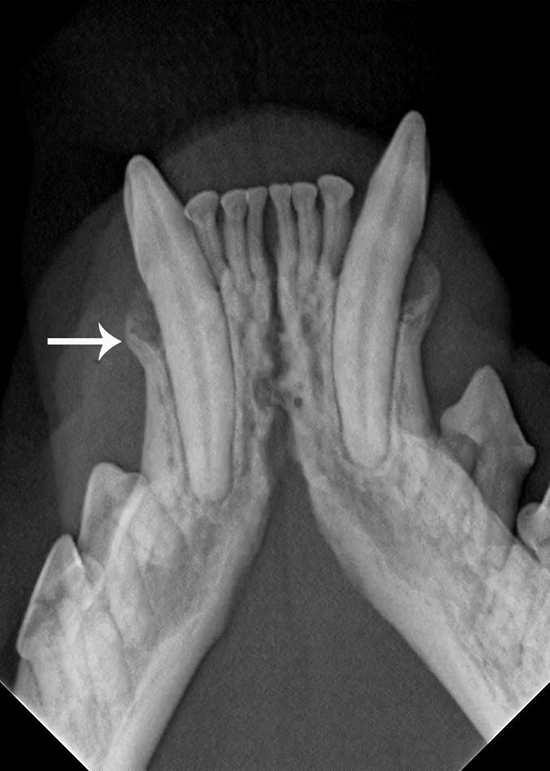 A study showed that radiographs of teeth without obvious abnormalities yielded incidental or clinically important findings in roughly 3 out of 10 dogs and 4 out of 10 cats. In late 2015, Bothell Pet Hospital purchased a dental radiography system that allows us to take detailed full mouth radiographs (x-rays) of our canine and feline patients, just as they do at your own dentist. While I had been vigilant about doing oral assessments and cleanings for Hoku, dental radiographs revealed tooth root abscesses and irreversible bone loss that I had missed—since I could not see it with the naked eye. Furthermore, although she did not show obvious signs of pain, she definitely seemed more comfortable and ate better after her procedure. Addressing Hoku’s oral health and dental conditions is an ongoing commitment and part of ensuring she has the healthiest, happiest life. Here at Bothell Pet Hospital we are proud that we perform full-mouth radiography with every dental procedure as part of a comprehensive oral assessment and treatment plan. It has allowed us to continue our mission of providing our client’s cats and dogs with the best medical, surgical and dental care. We are committed to your pet’s health and wellness, and we know that you are as well! If you’re a cat owner, you know how stressful it can be to get your feline to the veterinarian – for both of you! Trying to get a cat into a carrier can result in scratches, bites and even blood being drawn. It’s enough to make the bravest of cat owners want to skip veterinary visits altogether! Even though cats outnumber dogs as family pets, we veterinarians we see a greater number of dogs in the clinic for health care than cats. According to the American Veterinary Medical Association, in 2011, 44.9 percent of cat owners didn’t take their cat to a vet during the year, while just 18.7 percent of dog owners didn’t go to a vet with their canine. We know that cat owners feel just as strongly as dog owners about maintaining their pet’s health, but stress and transportation issues can greatly impact an owner’s ability to visit the veterinarian with their feline. Unfortunately this often results in many cats that may not be getting the veterinary care they need. The following tips will help you reduce the anxiety associated with getting your cat to the clinic, so that he or she can have the visits necessary for maintaining tip-top health—allowing your cat to live a longer, more comfortable life. If possible, start with getting your cat used to the carrier and the car as a kitten. Keep up with this throughout the cat’s life. Getting the right carrier is key; many carriers are just too small. In purchasing a carrier get one that is large enough for your cat to turn around in comfortably. The ideal carrier will have an easy release top portion which can be removed to allow your cat remain in the bottom half of the carrier. Physical exams can be performed with your cat in the bottom half of the carrier allowing him or her to feel more secure. An easy release top or top loading option will also help avoid the difficult and stressful experience of “extracting” a cat from its carrier. Each cat in a family should have its own carrier. This may help avoid cats “feeding off” each other’s stress. 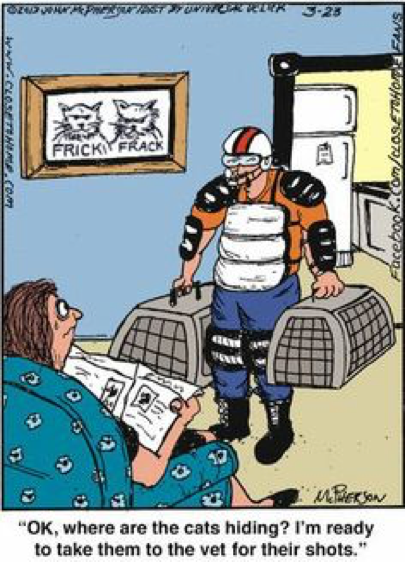 Leave your cat carrier out and available at all times. 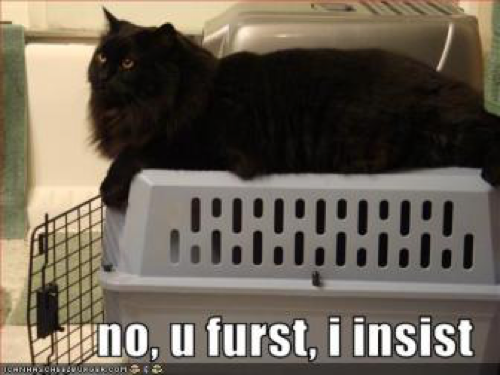 Make the carrier a fun place: feed treats in the carrier, try cat nip, dismantle it and leave the bottom half available with a familiar blanket inside it to provide a bed, some cats will even respond to crate training! Try Feliway® spray in the carrier and in your car. This is a synthetic pheromone that helps reduce feline stress. Spread a towel over the carrier before transport to shield your cat from the world outside. You can even cut a slit in the middle portion of the towel so that your carrier’s handle will fit through and the towel can drape completely over the carrier with ease. After your cat has become more comfortable with the carrier, getting them used to trips in the car can be the next step. Make short car rides around the block with your cat in their carrier so that car rides do not always result in a veterinary visit. 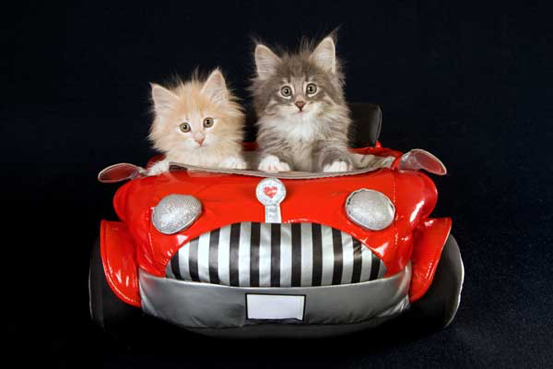 Make sure to secure your cat’s carrier with a seatbelt to reduce the motion associated with riding in the car. For cats with more severe anxiety we can prescribe medications that can be given at home before even attempting to put your cat in the carrier for his or her visit that may alleviate anxiety all together. Just ask! Last but not least… as much as we would love you see you and your feline for veterinary care right here at Bothell Pet Hospital, we realize there are some cats that may do best with a veterinary home visit. This service can provide your cat with great health care without the stress of being removed from their home. Give us a call and we’ll be happy to provide recommendations. We look forward to seeing you and your cat(s) at our clinic sometime soon! Is my dog just getting old (or could there be something else going on)??? Does this sound like it could be describing your dog? While it sure sounds like typical signs of aging, these vague symptoms could indicate that your dog has Cushing’s Disease. Technically it’s called Hyperadrenocorticism, but ever since it was described in humans by Dr. Cushing back in 1932, it is now commonly called Cushing’s Disease. This disease causes the body to overproduce cortisol, which has secondary effects on the rest of the body. 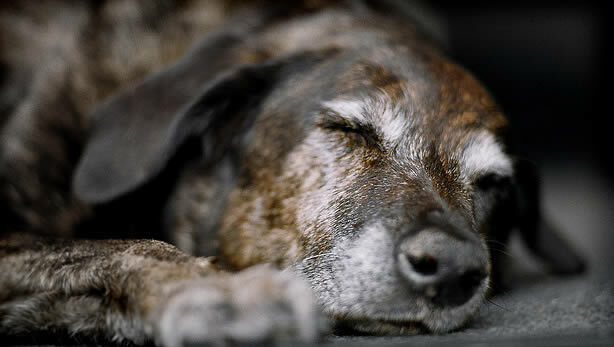 It is seen in middle aged to older dogs, and has such a gradual onset that the symptoms are often mistaken for typical aging. It is very rare in cats. There are two main forms of Cushing’s Disease: adrenal and pituitary. The first and most common, is the result of a benign tumor located on the pituitary gland in the brain. The pituitary gland, often called the ‘master gland,’ produces hormones that signal other organs in the body to produce their hormones. In Cushing’s Disease, the tumor produces excessive ACTH which causes the adrenal glands (which are located in the abdomen next to the kidneys) to produce excessive amounts of cortisol. Some cortisol is necessary for life, but excessive amounts are detrimental. The second form of Cushing’s Disease involves a tumor directly on one of the adrenal glands that causes the gland to overproduce cortisol. In general, half of these tumors are benign, and half are malignant. The majority of canine Cushing’s cases (80 to 85%) are a result of tumors of the pituitary gland. Diagnosing Cushing’s Disease starts by your veterinarian taking a thorough history and doing a physical exam on your dog. If his symptoms support Cushing’s Disease, your veterinarian will want to run blood and urine tests to rule in or out other diseases and look for changes in support of Cushing’s Disease. Finally a Cushing’s-specific test is done to help identify if your pet has the disease. Sometimes an abdominal ultrasound is needed as well. Because the majority of Cushing’s cases are pituitary-based, the majority of them are treated with oral medication. Newer medication now available makes treatment much safer and easier than those medications used in the past. For adrenal-based Cushing’s disease, if the adrenal tumor can’t be surgically removed, oral medication is also used. Oral treatment is long term and must be accompanied by regular veterinary monitoring. So if it seems like your dog is prematurely old and exhibiting these symptoms, discuss with your veterinarian if testing should be done. Luckily, Cushing’s Disease can be diagnosed and symptoms effectively controlled in the majority of dogs, restoring vitality and helping your dog to once again lead an active happy life. 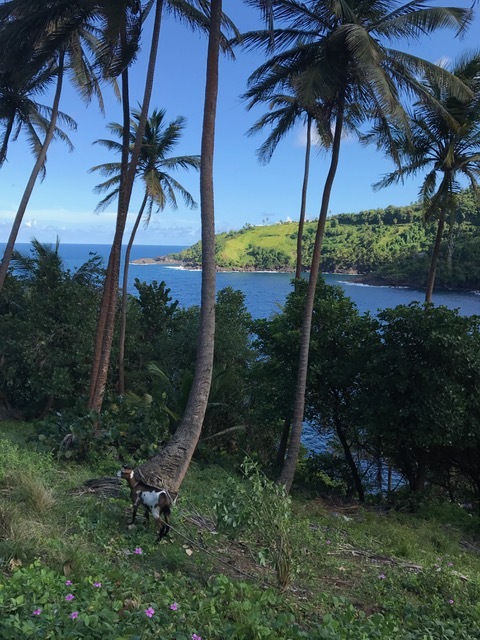 In October I travelled to St. Vincent and the Grenadines, a nation in the southern Caribbean that is made up of the large island of St. Vincent and a chain of smaller islands. The Grenadines are a popular destination for tourists, owing to their beautiful beaches and coral reefs. St. Vincent, however, is less visited- the beaches are mostly rocky and volcanic, and the terrain mountainous. 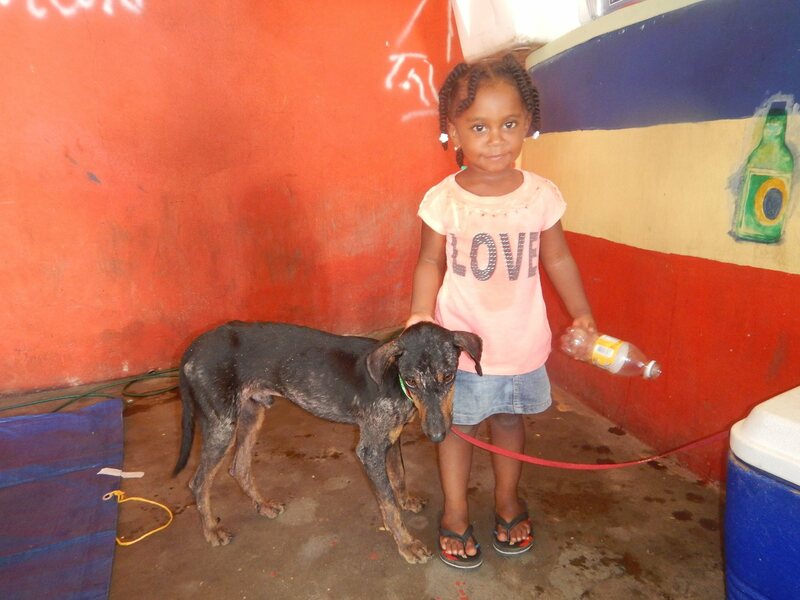 The Vincentian SPCA, a local animal welfare group, asked World Vets for assistance in managing the pet and stray overpopulation problem there. As can be imagined, there are limited resources on the island and uncontrolled reproduction is a serious concern. Our trip was a pilot program, meaning that this is the first time World Vets visited the area. We had no idea what to expect, but were optimistic that our campaign would be successful. 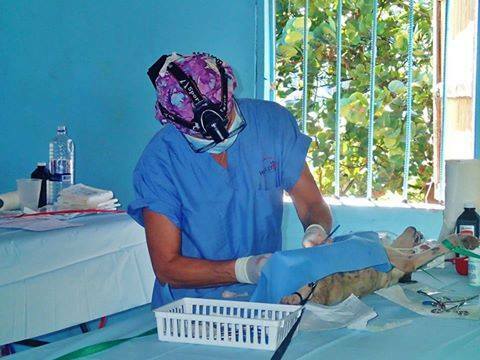 Our team was comprised of seven veterinarians, two veterinary technicians, and four assistants. We even had one vet from Italy and one from Venezuela. It is truly amazing how so many people, from different backgrounds, can come together and work so efficiently and adeptly. The SPCA was out in full force as well—handling registrations/paperwork, cleaning instruments, keeping us well-hydrated and fed. For me, one of the wonderful aspects of these trips is working alongside the residentsI learn so much about the local culture. We provided three clinic days, in two different locations. The second place was 1 ½ hours from our guest house, in an area with no veterinary care available. 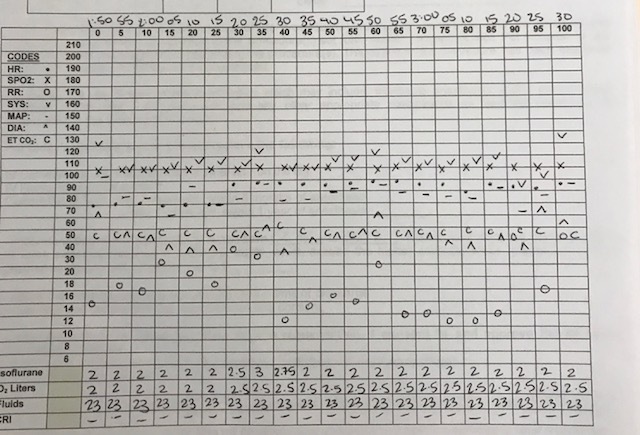 Over the course of these days, we performed almost 200 spays and neuters. With five doctors operating throughout each day, we were busy! Our “surgery suites” were fairly primitive (headlamps for lighting, plastic tables elevated on cinder blocks). The procedures were often complicated by excessive bleeding, as tick-borne disease is common (which can cause a decrease in blood platelets). Once complete, the dog or cat was passed on to “recovery,” where it received pain medication, deworming, and flea/tick treatment. Then after the pet was able to walk, back into the arms of the waiting owner. The SPCA volunteers also rounded up as many stray dogs that they manage. They would bring them in crates, and once the procedures were done, they would go back to their territory. Obviously, neutering the stray population is crucial to the overpopulation issue. Aside from surgeries, we also provided medical consultations. These could be anything, ranging from treatment of parasites and infections, to evaluating tumors and orthopedic injuries. All, including medications, is provided at no charge to the owners. I even got to do a house call to examine a limping baby donkey! The locals were all so appreciative, and it was very clear how much they love their pets.